Balance your health & well-being through massage. Emotional and environmental stress often result in physical tension. Massage therapy loosens tight muscles and stretches connective tissue, as your body relaxes your mind will easily follow allowing your 'whole self' to come into balance. Massage helps the body’s natural process of removing metabolic waste products resulting from exercise, inactivity, tension, or stress by improving blood flow and the movement of the lymph fluid throughout the body. This nourishes the body's cells by making oxygen and nutrients more readily available. In addition, massage releases endorphins, your body's natural pain killers. Endorphins create an overall sense of well-being and help manage chronic pain due to illness or injury. Simply stated: Massage makes you feel better. Massage is a soothing way to take care of yourself. 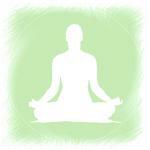 Relax your body and refresh your mind as you reclaim your inner peace. Balance Bodywork & Massage is a private practice located in Murfreesboro, TN since 2006 offering personalized attention to your individual care. Although sessions may vary to accommodate your changing needs, your therapist will remain the same. You can rely on seeing someone who knows your preferences and is able to note changes that take place with each session. Together we will create an experience in wellness and relaxation that is unique to you. Please explore the Services Menu to select a therapeutic massage session that is tailored to your needs, lifestyle, and schedule.